We build Power Supply Innovations for musical devices. 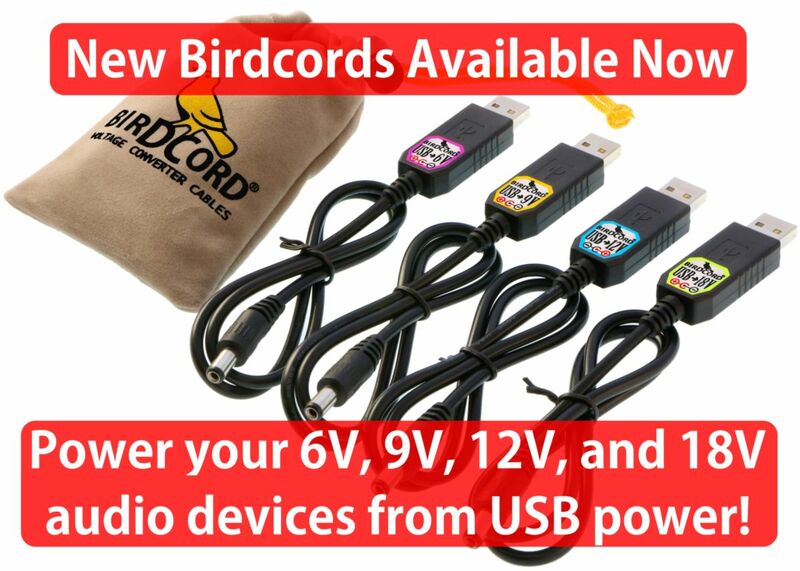 Our newest line of products are the Birdcord Voltage Converter Cables. The Birdcords convert the voltage of any USB port to either 6-Volt, 9-Volt, 12-Volt or 18-Volt DC. We also developed a line of USB rechargeable guitar pedals. You Will Never Have To Buy Batteries Again! Use the Birdcords in combination with an ordinary USB power bank to become grid-independent. No more one-way batteries! No more expensive power supplies! 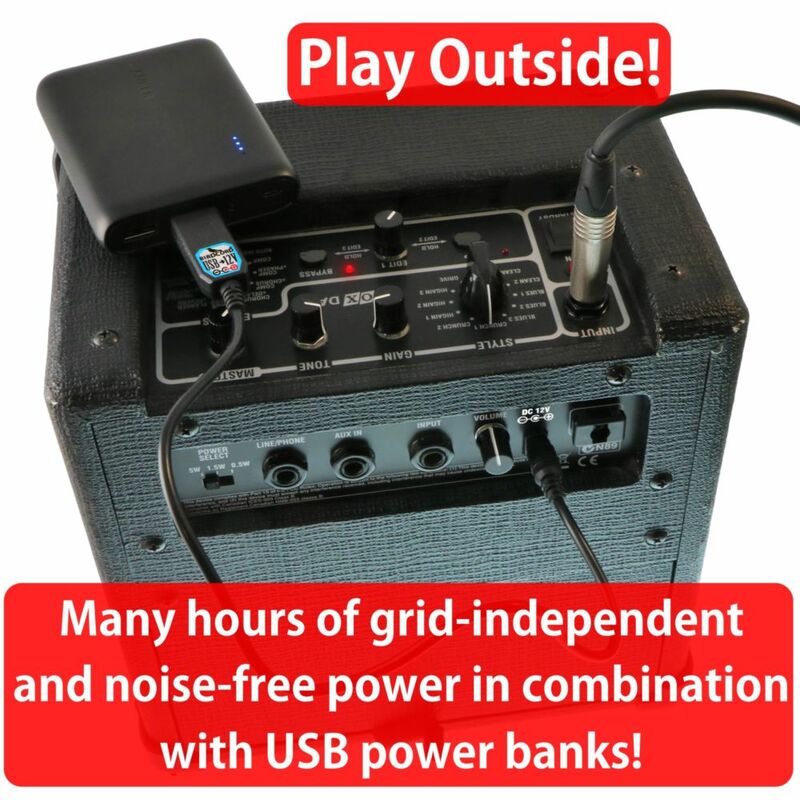 Play your music outside! Silence is our passion: Our products operate completely noise-free. We use only high-quality components and hardware to satisfy the needs of the touring and recording musician.